A funny lesson with British actor & comedian John Bishop. A few words on the Witzig surf history video made by Redbull. Video made for the online Encyclopaedia of Surfing. To read the entire entry click HERE. An old news story for the 1966 World Surfing Contest which Rusty represented West Coast USA. 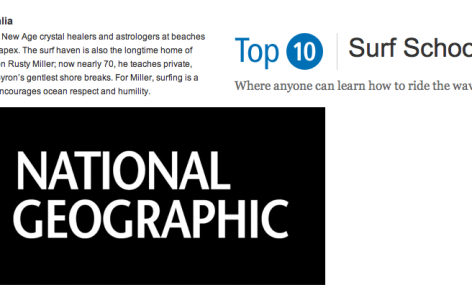 Rusty Miller Surf featured in Nat Geo’s Top 10 Surf Schools in the world. Click HERE to see more. 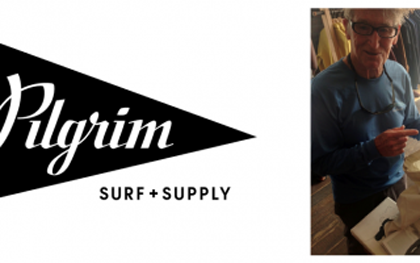 Article: Rusty reminiscing with Pilgrim Surf + Supply Shop in New York. Click HERE to see more. An article on the Turning Point Book, by Andrew Kidman for Coastalwatch. Click HERE to see more. Photographer and travel writer Marcus and Kate Westberg document their lesson on their travel blog ‘Life through a lens’. Click HERE to see more. Turning Point II Book Tour, California. 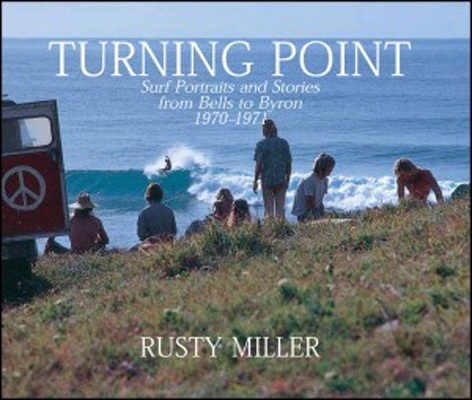 Rusty and Tricia will be presenting the second Turning Point book at several locations in California. 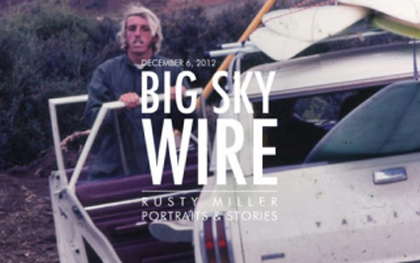 Please contact or visit the rusty miller surf facebook page for details. 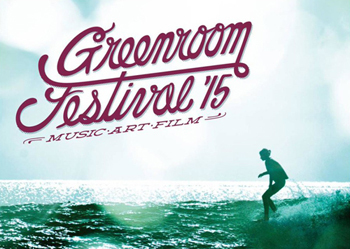 Presentation at Greenroom Festival, Japan. 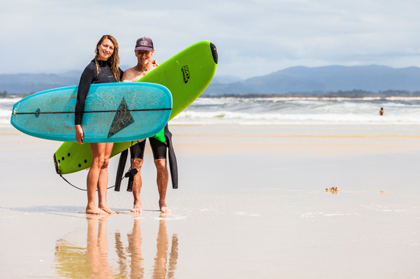 Rusty and Tricia presented their second edition of the Turning Point Book to a keen crowd of groovy surfers at this years Greenroom Festival. The festival was a gathering of surfers from all around the world interested in surf culture, music, art, film & fashion. Turning Point II Book Tour, Hawaii (Kauaii & Oahu). In 2015 the second edition, ‘Turning Point II’, of Rusty’s photographic collection was released. 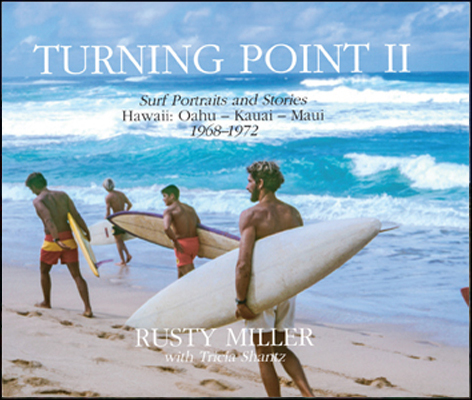 Turning Point II features historic images and untold tales from Hawaii and California from the 1970’s. Rusty and Trish toured the secondTurning Point book around some of the Hawaiian islands early this year, again reconnecting with many old friends from over the years! It was another great trip and good excuse to visit friends and family.